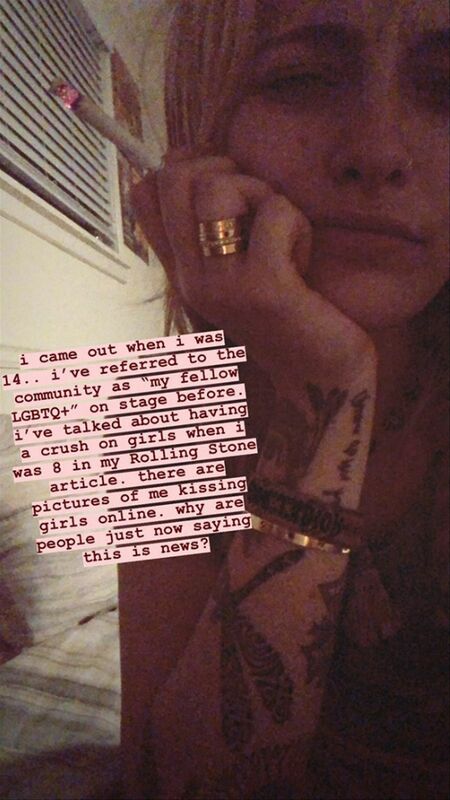 Paris Jackson opened up about her sexuality during a Q&A with fans. “That’s what you guys call it, so I guess, but who needs labels?” Jackson replied. Her answer began to circulate the Internet and Jackson wondered why people were treating her sexuality as a new revelation. “how many times have i publicly referred to the community as “my fellow LGBTQ+”? like even on stage. i’ve been apart of the community for years. i even mentioned having crushes on girls when i was 8 in a magazine before. i’ve been caught kissing girls in public. this is not news,” Jackson tweeted. Jackson has been spotted kissing women over the years including model Cara Delevingne. The pair were openly affectionate towards each other in March.